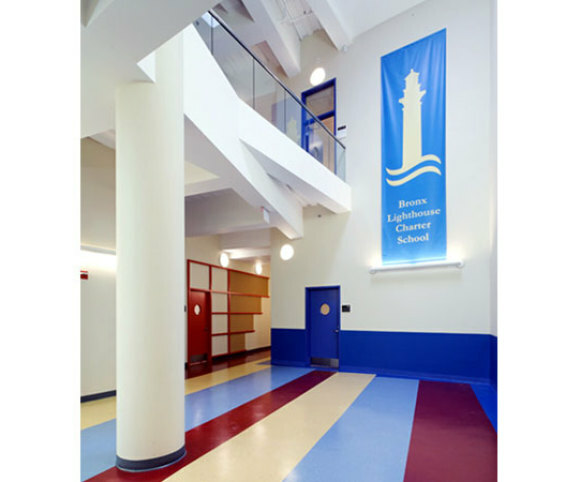 Civic Builders, a developer and real estate expert working exclusively with charter schools, commissioned Gran Kriegel Associates to design the K-through-12 Lighthouse Charter School at 1001 Intervale Avenue in the Bronx. 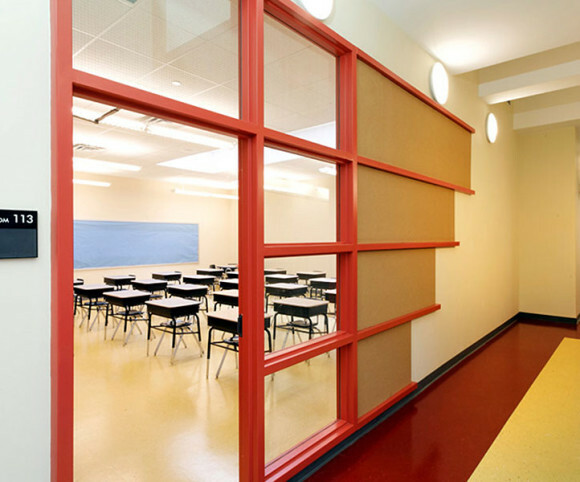 This project involved the demolition and complete renovation of the core and shell of an existing two-story garage and creation of a new four-story and cellar addition. 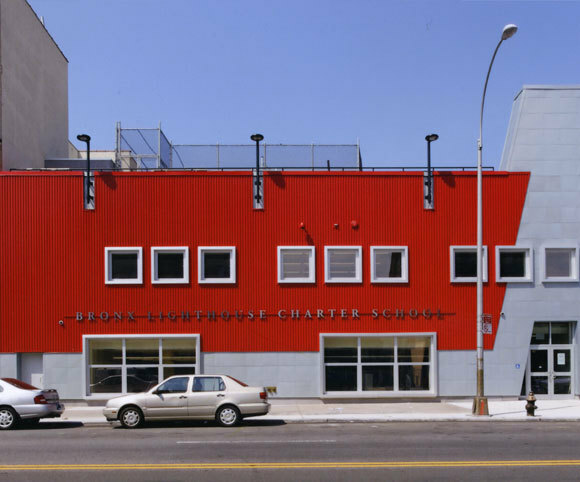 Gran Kriegel’s design program focused on unifying the irregular building site using a diagonal “Main Street” which ties together the existing and new structures. 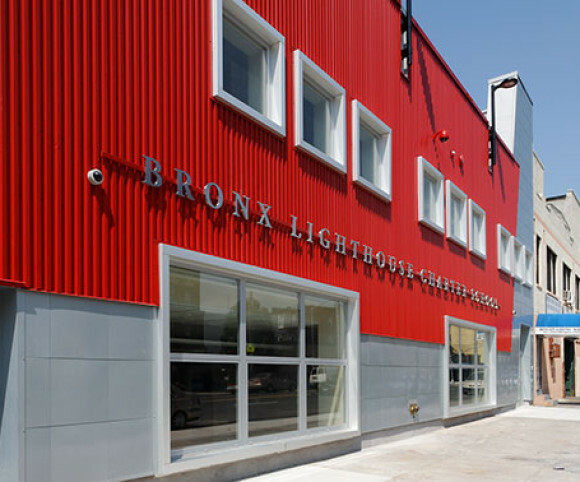 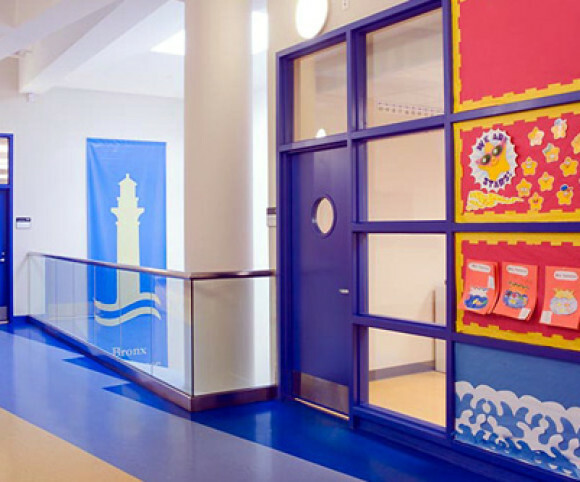 The use of the diagonal as a central design theme reflects nearby Westchester Avenue, which cuts diagonally through the neighborhood, and the use of round lights and windows subtly incorporates the school’s nautical “lighthouse” imagery.